Now that political hostilities have come to an end for the most part, Algeria's capital and major port (pop. 2,500,000) is fortunately one of the safest places in the country. The Casbah, the oldest part of the city, is alluring yet somewhat rundown. Its light-colored-stone and whitewashed houses built on hillsides look out over a picturesque bay dotted with islands. The district has the remains of a citadel, several mosques, Ottoman-era palaces and traditional houses set on winding alleys. It's still the heart and soul of the city, and several restoration and rehabilitation projects are underway there. Other attractions in the city include several museums (Fine Arts, Popular Arts and Archaeological) and mosques (El Djadid, Ketchaoua and the Grand Mosque, Jamal Al-Kibbir), as well as the Theatre National and the Martyr's Monument (more for the view of the city than the clunky concrete sculpture). For an even better view of the city and its bay, drive up to the Couvent d'Afrique. The lookout is high on a hill, and the view from there is exceptional. 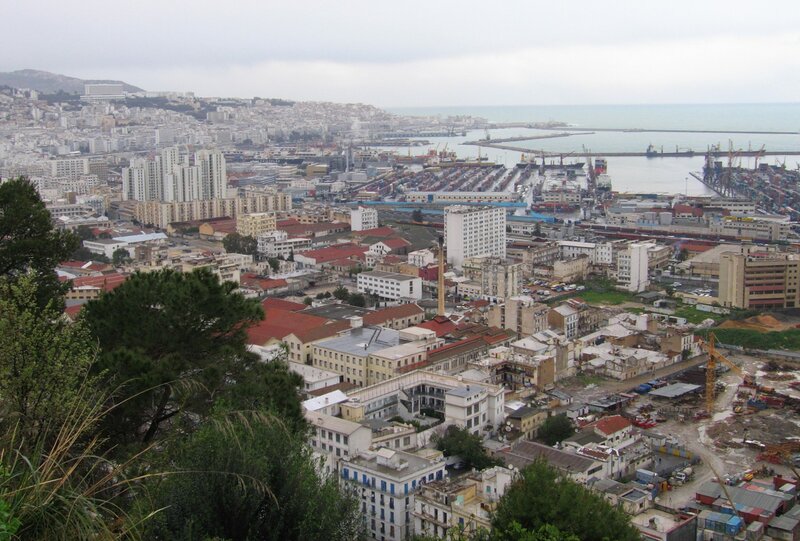 There are several day or overnight trips that can be taken from Algiers: To the west, you'll find nice beach resorts, combined with nearby ruins, in Tipasa and Zeralda. To the east is the Turquoise Coast, which has both sandy beaches and rocky coves. You can also make a trip to see the apes at Chiffa Gorge, visit the beautiful (ruined) towns of Djemila and Timgad and drive out to the ruins at Tenes and Cherchell. (The drive there, through beautiful mountain scenery, is half the attraction.) In winter, you can ski at Chrea or Yakouren. Excluding side trips, Algiers can easily be seen in two nights. 200 mi/320 km west of Constantine.